It follows the main riders, Guy Martin, John McGuinness, Ian Hutchinson, Conor Cummins and Michael Dunlop. Guy is the maverick of the circuit and we follow him from his day job of a lorry mechanic 6 weeks before the race to his new bikes and sponsor. He doesn't always pay full attention so mistakes are made which always seem to hinder him, but this makes him more likable and his shooting from the lip only helps the situation. 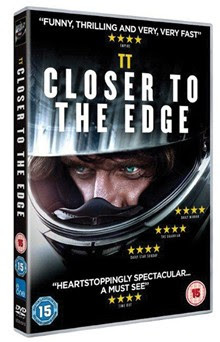 The filming and editing is impressive and keeps the appeal and the edge of your seat warm, as you follow the trials and tribulations of all the riders and their families, through triumph and tragedies and there are a few. Review is of one disk, the main feature.